The simplest way to put text bullets on a slide is to choose a layout that has placeholders for them. 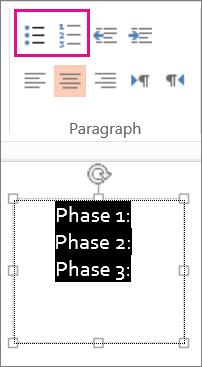 But, if you’re already using another layout, you can put text bullets in a text box. 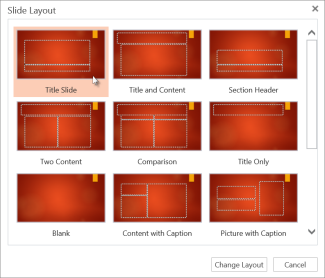 This article covers both ways: using a slide layout with text placeholders formatted as bullets, or by inserting a text box and formatting the text as bullets. 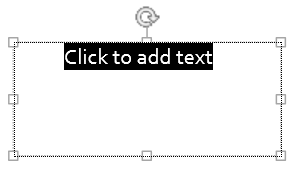 Click inside the placeholder (Click to add text) and enter your text. 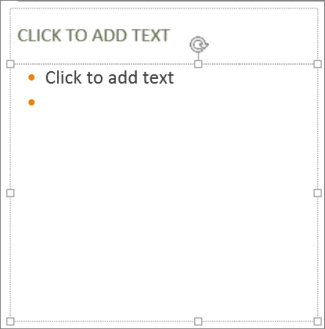 Using any slide layout, on the Insert tab, click Text Box. With Click to add text selected, on the Home tab, click Bullets or Numbering to pick a symbol or numbered bullet.